OMG Posters! 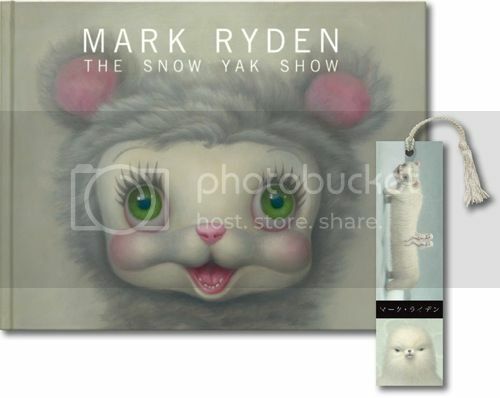 » Archive Mark Ryden's "The Snow Yak Show" Exhibition Book (Onsale Info) - OMG Posters! Porterhouse Fine Art Editions will have limited copies of Mark Ryden’s new exhibition book, “The Snow Yak Show”, up for sale next week. They will also include a bookmark that is exclusive to their site. The book is 11.25″ x 14.75″, hardcover, and has 68 pages. These become available Thursday, August 26th at 8am PDT. Visit PorterhouseArt.com. The email out from Porterhouse says next Thursday, August 26.